Our client testimonials speak for themselves. 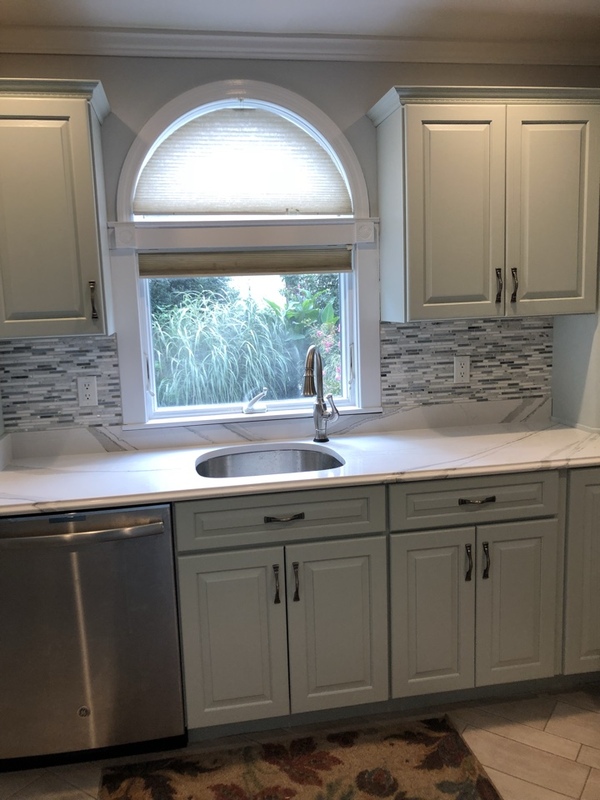 We have also been recognized as a Best of HomeAdvisor kitchen remodeling contractor and 5 Star Contractor by Angie’s List. Our industry recognition naturally follows the outstanding customer service we offer our clients. It’s our mission to bring you high-quality craftsmanship at a budget-friendly price. 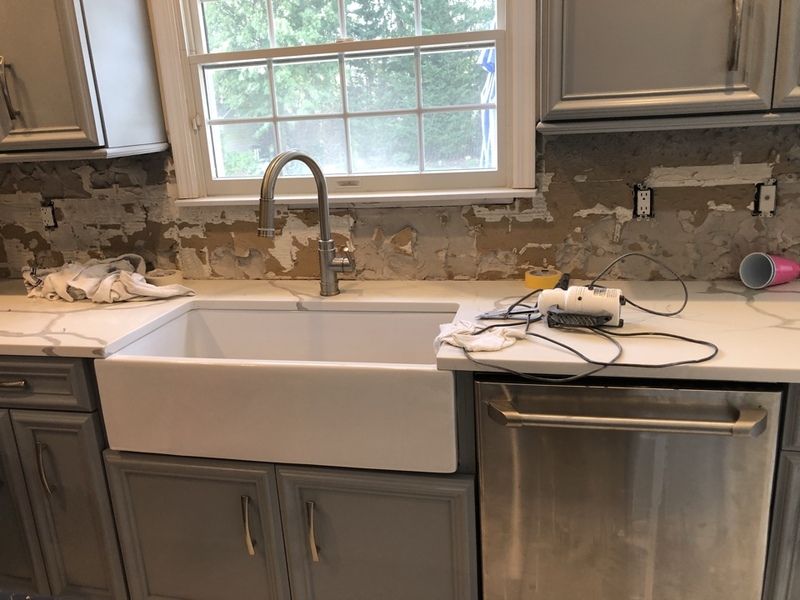 Before you begin your kitchen renovation project, contact Long Island Wood Renewal, LLC to learn how you can save. 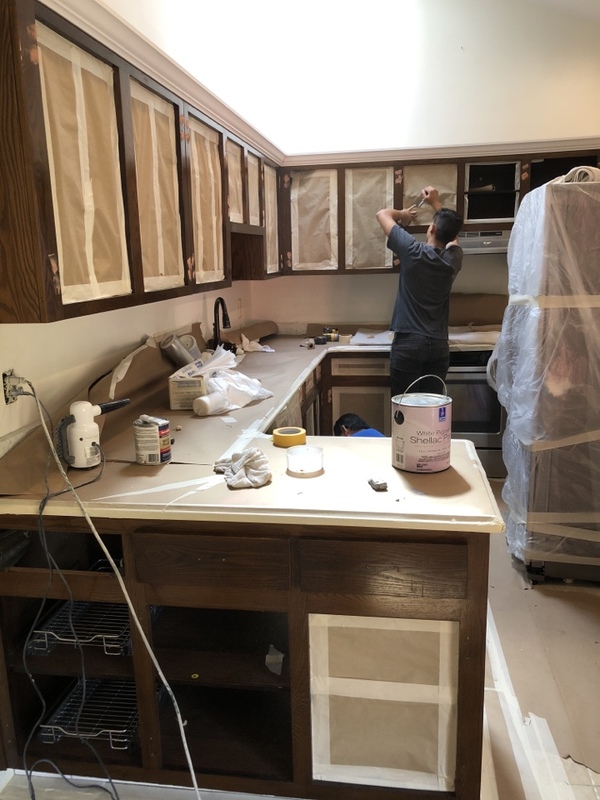 Instead of a costly cabinet replacement, our technicians may be able to restore and refinish your cabinets with our specialized finishing techniques. We can also help rearrange your kitchen layout or gut the whole kitchen for a full renovation. We promise that we’ll never leave you in the dark during the kitchen renovation process. We keep open lines of communication at all times and strive to keep our customers satisfied with our work from beginning to end. Long Island Wood Renewal, LLC provides high-quality work at affordable prices. All of our remodeling contractors have years of experience and are highly trained in their craft. To schedule your services or to receive a free in-home estimate, call (631) 414-7082. You can also fill out our online form to make a request. Transformation to Sherwin Williams Network Gray from Mahogany. Love the farmhouse sink alteration.